This year the Floral Weeks are held over the city blocks. 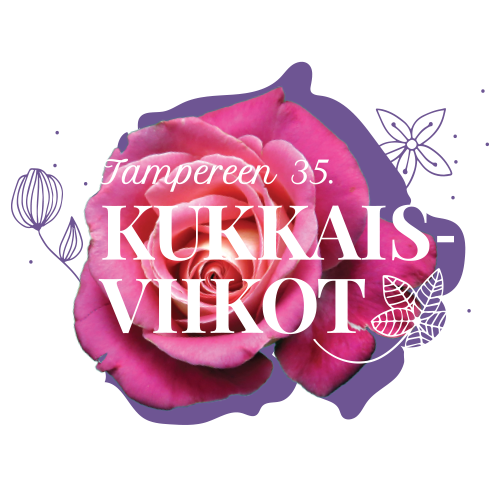 The reformed city festival brings food, entertainment, and shopping as well as workshops and art to Tampere center. The event’s producer Emmi Nuorgam is excited about how the residents of Tampere will receive the urban festival. “In Tampere, people are used to huge market square events and public festivities, so a new kind of approach is definitely something I’ve wondered about. 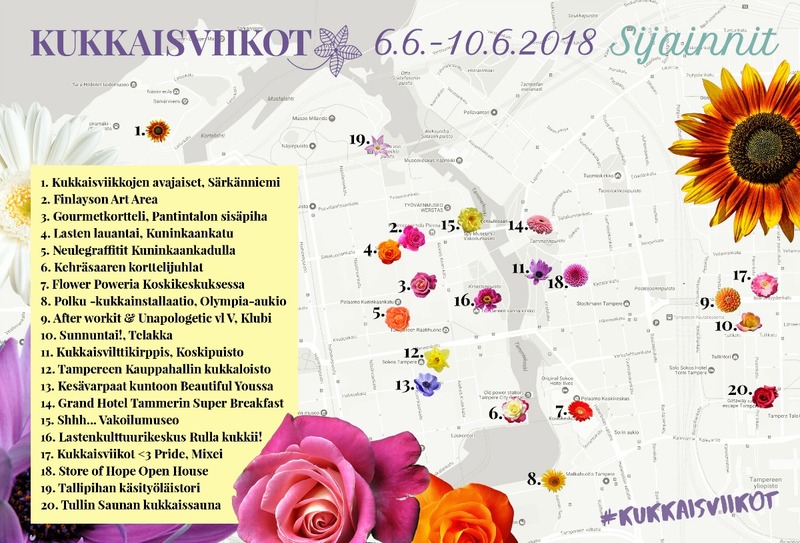 The Floral Weeks could be described more as a communal street art and food festival than as a big market assembly, but I believe that the people of Tampere are ready for it,” she ponders. The opening weekend of the Floral Weeks lasts for five days and the program focuses on culture, shopping, and cuisine. The public can enjoy art and culture at Finlayson, Children’s Culture Center Rulla (Lastenkulttuurikeskus Rulla), and Culture House Telakka (Kulttuuritalo Telakka), in addition to the art that is distributed around the streets. One of the novelties of the Floral Weeks is a flower installation, The Path, on Ratina’s Olympic square. The installation combines city and surrounding nature in a relaxing way. The Path offers a peaceful space in the middle of the city’s traffic hustle and a chance to glance at the national scenery of Tampere from a fresh perspective. The installation has been designed and hand-built by the students of Sammalsoppi NY. 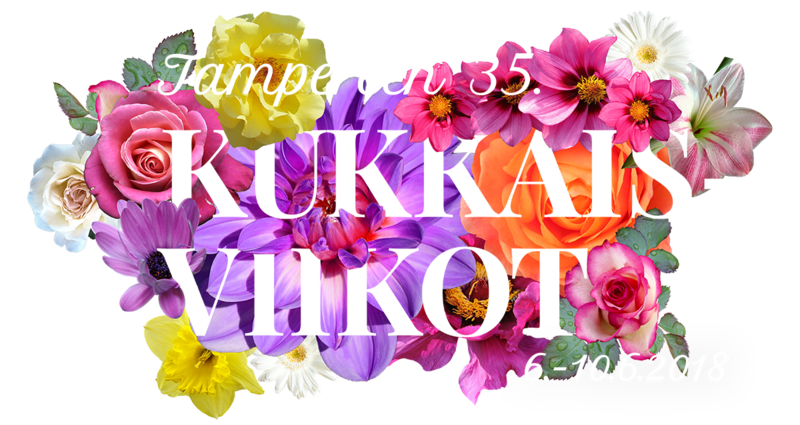 The Floral Weeks’ Gourmet Block brings a small piece of the Berlin food culture to the backyard of Tampere’s Pantin talo. Echoes of blues and roots classics can be heard in the inner yard, while Tiiliholvi, Bistro Miss Ada, Malabadi, Kahvila Jenna ja Minna and Burger Bar the Bull, among others, serve their grill delicacies. The sauna capital’s own Tullin Sauna is also contributing to the floral theme: in the weekend the sauna visitors will be able to to spice their löyly with flowers. Urban city culture is visible on the Floral Weeks’ kids’ program, too. On Kuninkaankatu, skating, street painting, hobby horse riding, music, blowing soap bubbles, and a bunch of other activities are available for the little ones. Almost all of the Floral Weeks’ program is free of cost and has unobstructed access, including the Kids’ Saturday.